You may order them on my ETSY page or contact me to buy or to order wholesale. 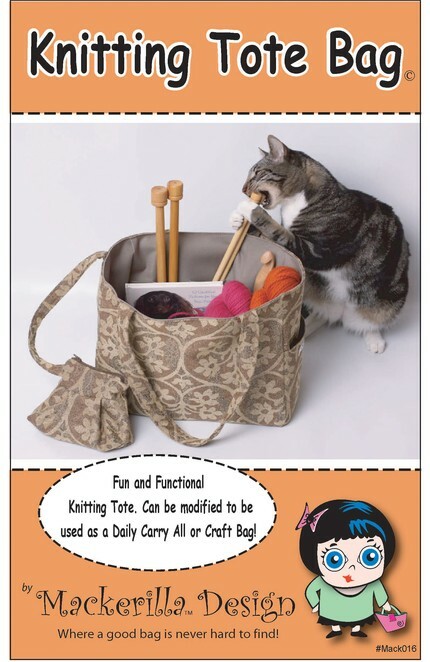 The best little tote for all your knitting items. Can also be used as a mid-sized Diaper bag or every day bag by changing up the interior pockets! Features include: Double handles, exterior side open signature pocket, Interior is loaded with pockets! 3 knitting needle slots, plus 4 more open top pockets. 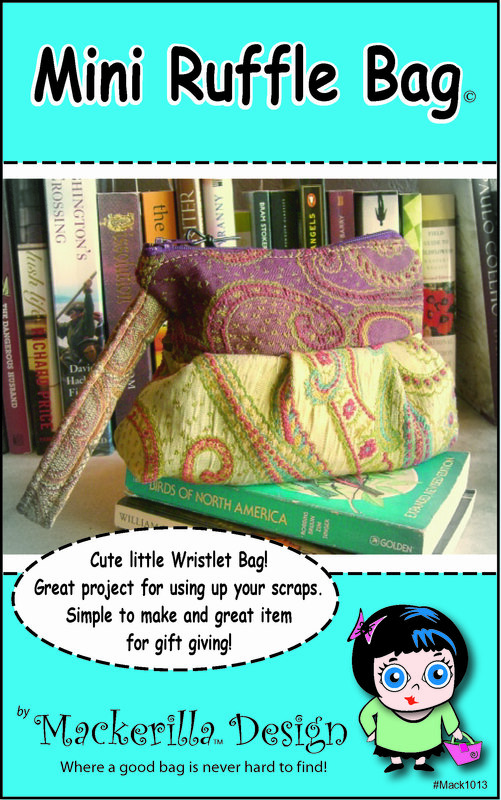 Attached mini ruffle bag to hold your small knitting accessories. Exterior- heavy cotton canvas, sturdy cotton/linen blends, and/or Upholstery fabrics. Interior- cotton or poly blend canvas or twill. Wristlet style handle. Zipper top closure with a basic interior. Use as an every day little bag for carrying your essentials. Put inside your larger bag for a quick grab item. Also a great gift giving idea for bridesmades, party favors, holiday gift or for promotional give away items. Do you have allot of fabric scraps and old notions? 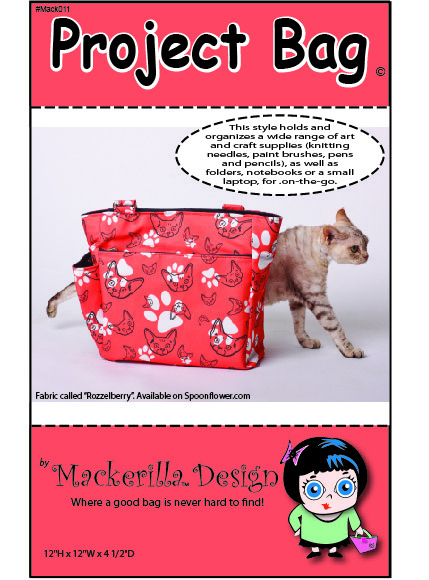 This bag is perfect for using up your sewing stash items! Interior materials- cotton or poly blends, canvas or twill. Convertible wristlet to top handle. Zipper top closure with two small interior pockets. Two exterior open front pockets. Are you a fat quarter hoarder! Use them up for this bag! Mix and match materials. 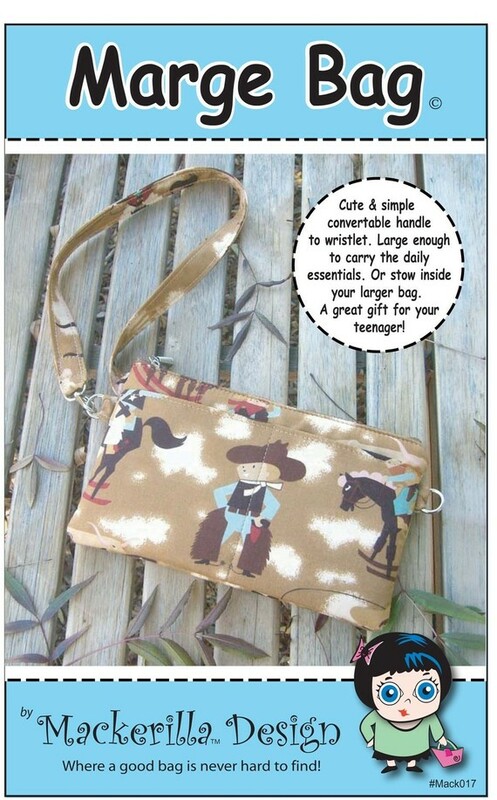 A great bag for your tween and teenager! Use as an every day little bag for carrying your essentials. Put inside your larger bag for a quick grab item. This cute Strappy Wallet is small enough to fit into your purse but big enough to use on its own when you want to travel light! Practical features abound in the stylish design- a padded zip pocket for change, phone or other electronics; a pocket for bills; three slots for credit cards/driver license;and a wristlet strap to keep it all securly in hand. Material suggestions- Use lightweight Cotton through medium weight home dec fabrics. Medium to heavy weight stabilizer required for light cottons; light to medium weight stabilizer used for heavier fabrics. Great Tie Top Tote to carry your books, knitting, work essentials in. Also great for a smaller Diaper bag! Tie top closure. Two front and rear outside pockets. One exterior side cell phone pocket. 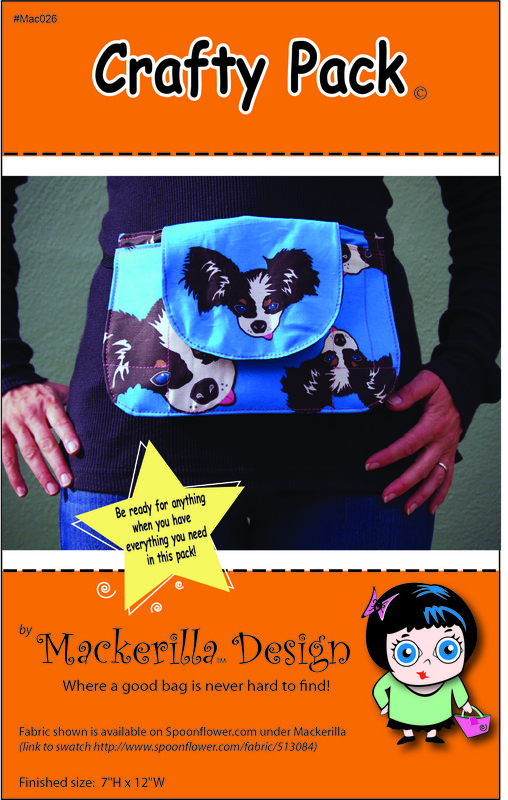 Zippered inside pocket and small open side pocket..
Must-have convertible backpack-style purse. Super simple transition from shoulder purse to backpack. Features include adjustable straps, zippered top closure, front exterior zippered pocket, rear center split pocket, interior center split pocket. The “it” bag for active women. Full-size convertible backpack-style purse. Super simple transition from shoulder bag to backpack. Combines function of backpack with style of handbag. 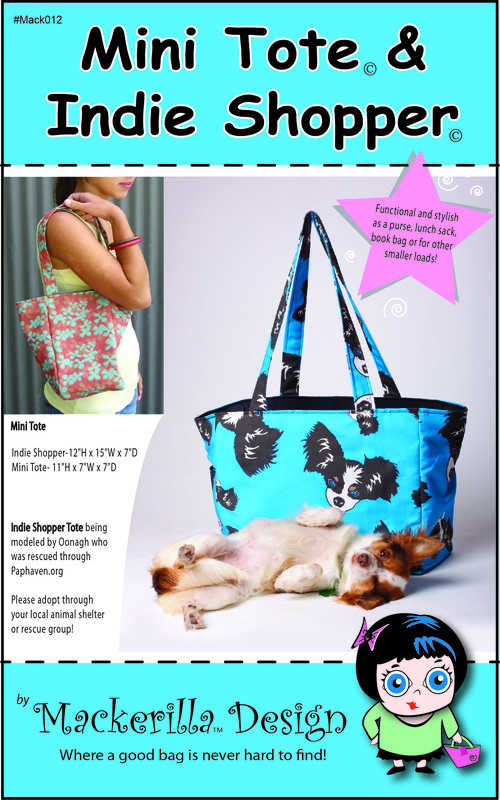 Great for trips to the store, farmer’s market, school, baby bag, traveling, to the beach, etc…. Features include adjustable straps, zippered top closure, two exterior side pockets for water bottles, front exterior zippered pocket, rear “split” open top pocket, large interior split pocket. With these excellent fabric box/baskets in four sizes. You can keep all your projects, books and odds & ends tidy and well-organized. Roomy and sturdy, with handles for easy transportation, these containers can be made in home dec fabrics or some of the popular new canvas prints that are out there. The one and only Project bag holds and organizes a wide range of art and craft supplies (knitting needles, paint brushes, pens and pencils), as well as folders, notebooks or a small laptop, for .on-the-go. project mobility. Can also be used as a mid-sized Diaper bag ! Features include: Single adjustable shoulder strap, snap top closure, exterior snap side pocket, front exterior zippered book/pattern pocket, rear exterior pocket divided into two compartments, two interior pockets and a small side pocket. This ultimate work bag, works for you. A good weekend rainy day bag to make! Mini tote is an easy basic design to make. Simple construction. Indie shopper has a large main compartment with and exterior side pocket. Reinforced handles. Large interior zippered pocket. Basic contruction. Carry your Vino in this wine tote and any event, restaurant with a corkage fee or give as a hostess gift. Has loop top with tab handle top closure. One exterior side pocket for your bottle opener. Journal bag holds a small book or your daily journal. Also has the the loop top with tab handle top closure. Simple open interior. 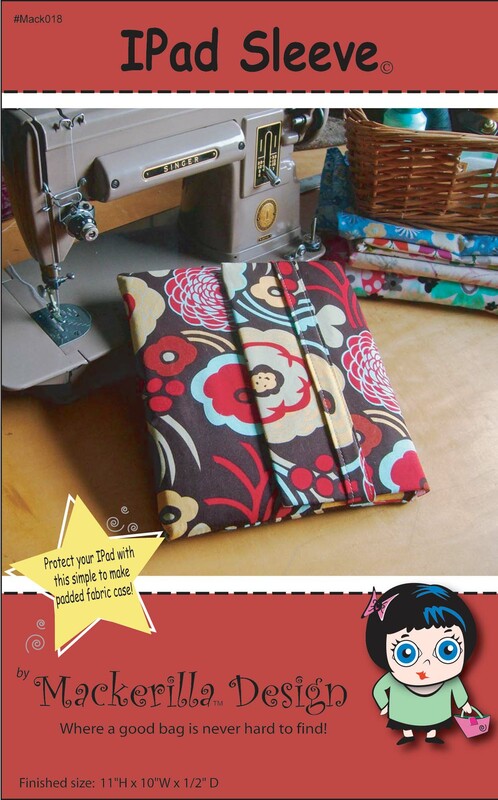 A simple to make Ipad Sleeve to protect those expensive devices! Big enough to be able to keep your rubberized or snap-on plastic cover on! Material suggestions- Use sturdy Cotton, Cotton Canvas, Oil Cloth or Upholstery Fabric. Craft Batting for padding. A cheeky take on the ol’ fanny pack! 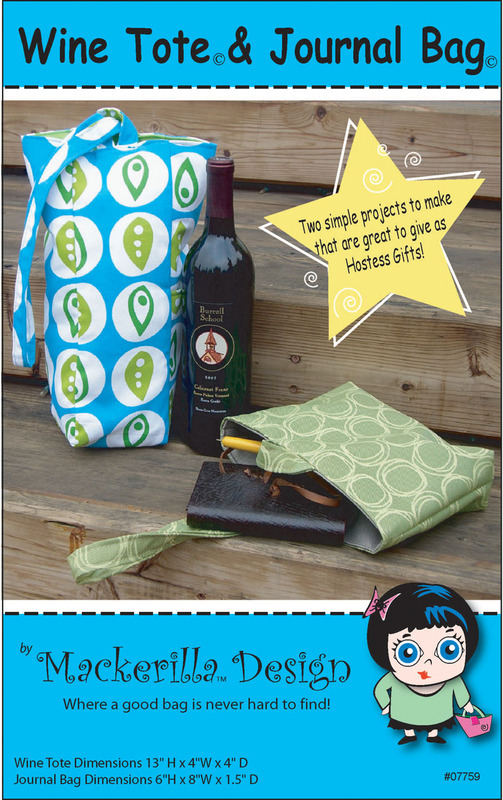 Great for anyone that is a vendor at craft fairs. You can carry everything you need for your sales. Especially your money pouch! Also a great design for anyone who is in the service industry like a waiter or waitress, or wedding coordinator and needs to be hands on with their stuff! 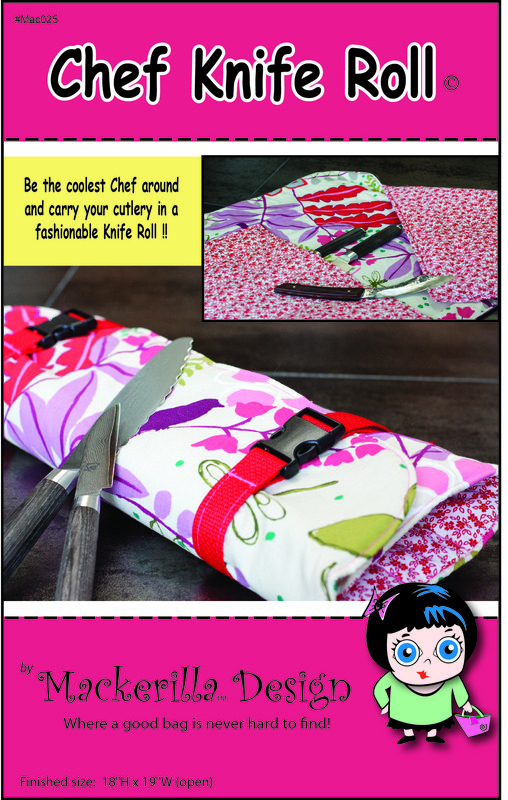 Carry your special cutlery in this cool simple design! Pingback: Multi-Size Convertible Backpack - PDF Sewing Pattern | PatternPile.com - sew, quilt, knit and crochet fun gifts! love love your patterns… thank you for sharing them with the world.